Published: Nov. 4, 2013 at 03:21 a.m.
(10:16) (Shotgun) J.Campbell pass short right to D.Bess for 20 yards, TOUCHDOWN. Published: Nov. 4, 2013 at 02:45 a.m.
(8:29) (Pass formation) J.Campbell pass short right to D.Bess for 1 yard, TOUCHDOWN. Published: Nov. 3, 2013 at 05:31 p.m.
Cleveland Browns quarterback Jason Campbell passes short right to receiver Davone Bess for a 20-yard touchdown. 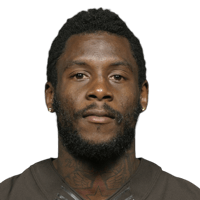 Published: Nov. 3, 2013 at 04:53 p.m.
Cleveland Browns quarterback Jason Campbell passes short right to wide receiver Davone Bess for a 1-yard touchdown on fourth and goal.